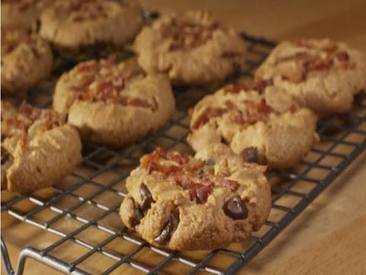 Peanut butter & bacon cookies! Today is National Peanut Butter Cookie Day! Celebrate by making this recipe where peanut butter, chocolate and BACON join forces to make this sweet and salty dessert that will keep your peeps asking for MORE!